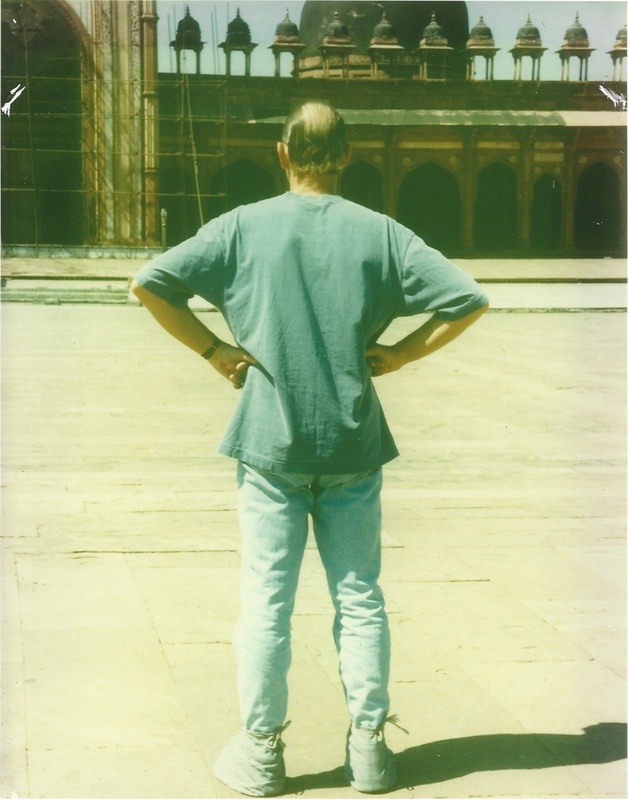 Delhi, India…March 1996. I have always been fascinated by India. Yet, whenever that country comes up in conversation, it is usually met with negative comments about overcrowding, lack of cleanliness or, in more recent times, frustration that the local cable company’s customer service representatives all seem to live there. None of that was on my mind in the spring of 1996 when Sande and I, and two female friends, set off on one of the most fascinating holidays of our lives, at the heart of which was ten days in neighboring Nepal, featuring Himalayan mountain trekking, white water rafting, and the jungle tracking of rhinos and tigers while perched safely (if bumpily) atop an elephant’s back. That Nepalese adventure, and Nepal’s magnificent capital city of Kathmandu, which still houses the “Living Goddess” and its fair share of ‘60s hippies, was indeed extraordinary, but Delhi was its gateway and our days there were no less memorable. While unequivocally reinforcing the negative perceptions of so many, it only reinvigorated the allure of this very foreign land to me personally. Our first days in Delhi were a literal assault on the senses. India—with its caste system, its wildlife, its opulence, its depravity, its mass of humanity—is the very definition of “foreign.” Snake charmers were everywhere—propped cross-legged on sidewalks, some serenading king cobras to rise from their baskets, others taunting the poisonous serpents in an insane game of Indian roulette, still others draping huge albino pythons around their bodies—all inviting (for an appropriate offering of rupees) audience participation. I should acknowledge that both of our female fellow travelers came away with snapshots proving their boldness to “wear the python.” Sande and I, however, opted to stand pat with considerably less exotic fashion accoutrement for our holiday snaps. Then there were the sacred cows (literally), which turn an already impossible traffic situation—cars, buses, horse-drawn carts, bicycle-drawn carts, human-drawn carts, people pushing carts, people walking with what appear to be large bags of laundry balanced on their heads, all meandering through traffic lanes belying little rhyme or reason, leading to circular points where multiple roads converge, in the middle of which stands, on a slightly elevated concrete oval, a white-jacketed, white-gloved policeman to whom no one pays any attention, vehicular horn-blowing effectively over-riding the policeman’s incessant whistle-blowing…whew, almost lost the sacred cows in that riff! Point is, they go wherever they want, and everyone defers to them…meaning: if a cow decides to walk across the road, everyone stops. Worse, if a cow decides to lie down in the road, well, you get the picture. Ironically, our visit to India also coincided with some sort of election season. This not only added a political parade dimension to India’s traffic chaos, but also shined a light on the caste system at work. Touring New Delhi on a brilliantly sunny Sunday afternoon, we visited the centuries-old tomb of some great Indian Emperor, notable to us for the spectacular architecture of the building and its magnificent gardens rather than any knowledge of who the guy was. Anyway, a huge rally was underway that afternoon which owed its hugeness (according to our guide) to the bussing in of multitudes of sari-clothed (reminded me of the homespun garments Ben Kingsley & co. sported in Gandhi, except these were more colorful) peasant outliers who appeared to have very little idea why they were there. Not really any different from most U.S. political rallies, I suppose. The one thing the sudra (lower class) people did have an interest in was us…don’t know if that was a function of the fact that our big pale selves, decked out in shorts, tees, and sneakers, stood out like lanterns in a swamp, or that they were impressed that I traveled with a mini-harem. There was no such fascination with us when we returned that evening to our hotel to find a wedding in full swing, the opulence of which was breathtaking. We ogled it for a few minutes, but quickly tucked ourselves in, for we had a very early wake-up call the next morning. We were going to Agra to see the Taj Mahal…a day trip that would display India at its most glittering, and most appalling. Awakened at 5am, we sleepily pulled ourselves together and headed for the Delhi railway station where we were to board the 6:15 Shatabdi Express for the two-hour journey to Agra. It was still midnight dark as we made our way to the boarding platform. A few widely dispersed hanging light bulbs gave an eeriness to the scene below, covered as it was with the bodies and belongings of poor Indians, many of whom had apparently spent the night sleeping there, some perhaps to board our train but most undoubtedly awaiting some non-express transport that was predictably behind schedule. Dishearteningly stepping over their bodies, we plowed ahead behind our guide, upper class tickets in our pocket, and a nice little box breakfast tucked under our arms. Upper class turned out to be a bit of a misnomer, as seating was three-across, narrow and tight, but clearly one needs to be careful not to apply western definitions to India. The two-hour trip was actually pretty pleasant, if cramped, and we de-trained in Agra to a sunrise casting a magical yellow glow overall, our spirits high with the expectation that we would soon be seeing firsthand one of the iconic wonders of the world. We were, therefore, totally unprepared for what met us at the exit point of the Agra train station, though our guide’s last words before we stepped outside were clearly meant to do so. While we would carry their images with us through the rest of our day—a day that would end as the sun shone its evening rays across the marbled brilliance of the Taj Mahal—India continued to overload our senses along the way. From a deserted 16th Century city, the grounds of which are considered so holy that visitors are required to wear “blessed” cloth booties over their shoes, to the heart-wrenching sight of fuzzy and whining sloth bears tied roughly to trees as rupee-fueled photo ops for tourists, to our midday lunch stop at an attractive hotel, the appeal of whose buffet offerings was somewhat diminished when I observed a rather large roach sharing the luncheon spread (an observation I opted to keep to myself so as not to risk my fellow travelers going on a hunger strike). And then there was the naked Holy Man. Picture a dreadlocked Bob Marley with no clothes! These babas, as they’re called, wander the countryside preaching and seeking greater holiness through simplicity. Admirable. Not for me, but admirable. Such is the range of India that we observed in just a few days and in only one small part of that subcontinent. I can’t wait to go back.